Army chaplain Fr. James S. McGinnis, SJ, founded Bellarmine Jesuit Retreat House (then known as Bellarmine Hall) in 1948. He named the retreat house after Saint Robert Bellarmine (1542-1621), who was both a Jesuit and a Cardinal, as well as a papal advisor and a distinguished 17th century theologian who was canonized in 1930 and named a Doctor of the Church the following year. St. Robert Bellarmine is considered the patron saint of our retreat house because he embodies the integration of head and heart and of contemplation and action. 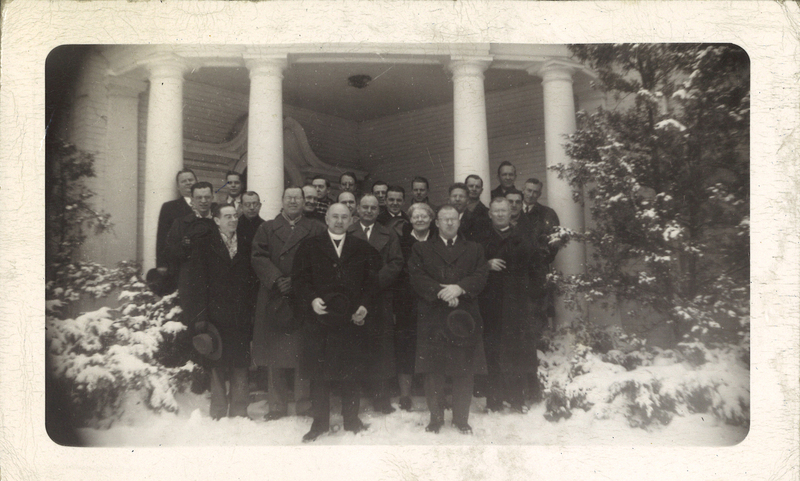 The first Bellarmine retreat took place on January 2-4, 1948, when 22 men gathered in the wintery snow to inaugurate this Jesuit retreat ministry. Records of that first retreat recounted, "No retreat ever opened under less auspicious circumstances. The stove was not connected until 6 p.m. which meant that cold buffet supper had to be served… The altar was not returned … until after 6 p.m. although Fr. Thane brought the Blessed Sacrament for benediction. All the retreatants came in on the very last train. The weather was frightfully cold and the roads were covered with snow drifts…. After the retreat all of us … were too tired to stand." The Bellarmine property consists of 80 acres. The property was once part of 300 acres owned by Robert P. Hammond. Between 1910 and 1912, the Hammond family built the cottage and coach house. Mrs. Hammond, Nellie, was the first president of the Barrington Garden Club. She developed the original perennial gardens with the old world balustrades and fish pond fountain that can still be seen today in the Bellarmine gardens. 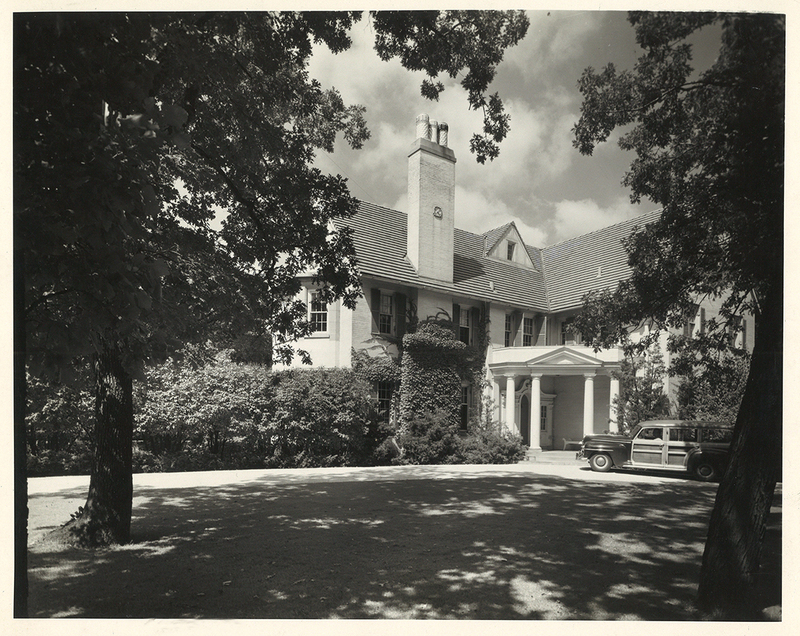 After laying the foundation for the home, the Hammonds sold part of the property to Frank and Clara Hecht, who completed the mansion on its original foundation. They called their home “the Meadows” and lived there until 1947. The original knocker on Bellarmine’s red front door still reflects this name. In 1947, the Jesuits purchased the 75 acres from the Hechts. An additional 5 acres along Caesar Drive were purchased at a later date. The original mansion, which includes many beautiful classic architectural features, is the oldest portion of the retreat house, and took six years to build during the 1920s. Today, the black and white marble squares in the foyer, the walnut wood floors, and the three-story stairway with its three styles of balustrades are still lovingly used and cared for. The original cottage and coach house are still used to provide additional retreatant rooms as needed. Fr. McGinnis was succeeded as Director by Fr. James J. Mahoney, SJ, who served from 1949 – 1967. Under Fr. Mahoney’s leadership, the retreat house’s success and popularity led to a building addition which was completed in 1957. The design relied heavily on classical architectural features similar to the late Georgian period. A new chapel with a bell tower, 36 more rooms for retreatants, living space for the resident Jesuits, a large dining room and adjacent kitchen were added. In the 1950s, Fr. 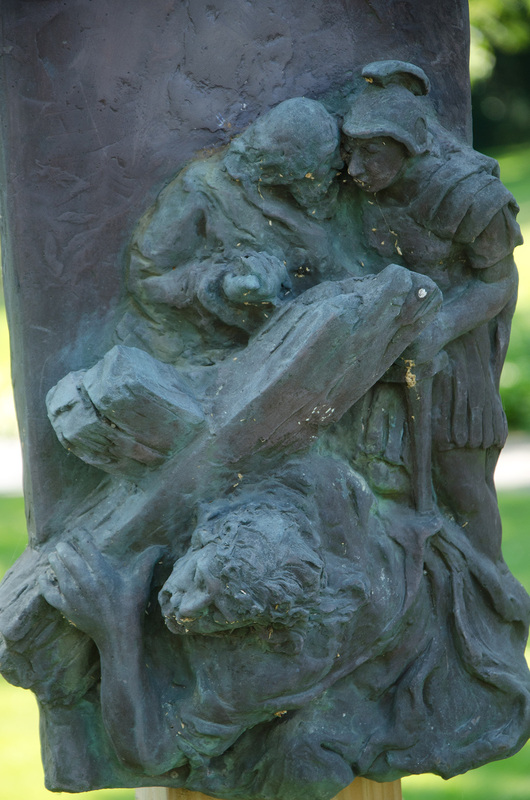 Mahoney commissioned Russian-born artist Alexander Zlatoff-Mirsky to create Stations of the Cross for the retreat house. These stations are interesting because previous works had typically shown Christ’s wound in the Crucifixion to be on the right side of his body. Finding nothing in Scripture to corroborate this, he presumed the soldier was standing directly before the Savior, and instead placed the wound on the left. This emphasized Christ opening His heart to the world. Zlatoff-Mirsky also painted the large portrait of St. Ignatius that hangs in the foyer of Bellarmine, as well as two large paintings in the Chapel. He sculpted the crucifix that hangs in the Sacred Heart Chapel. The next thirty-two years saw a number of Jesuits serving as Executive Director at Bellarmine, including: Fr. Robert G. Liska, SJ (1967 – 1968), Fr. Robert Murphy, SJ (1968 – 1971), Fr. Patrick Boyle, SJ (1972-1982), Fr. John Foley, SJ (1983 – 1987), and Fr. Donald Hayes, SJ (1987 – 1999). Under the leadership and vision of Fr. 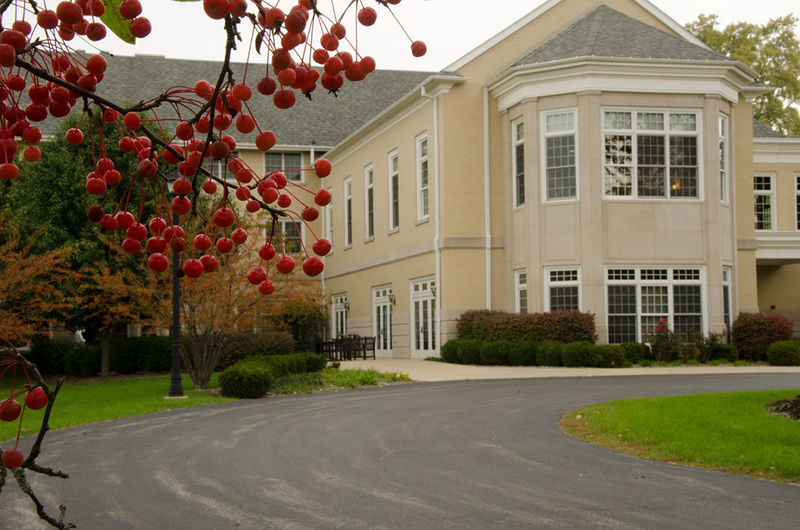 John Dillon, SJ, who served as Bellarmine’s Director from 1999 – 2006, it was determined that that retreat buildings were not well-suited for youth retreats. In conversations with donors, Fr. Dillon found that others shared his view that more needed to be done to offer enhanced retreats for high school students and help move Bellarmine into the 21st century. Mr. and Mrs. John Beck, whose lifetime giving exceeded $4.5 million, made it possible for the dream of building a conference center addition possible. The Becks also made a significant contribution to Bellarmine’s endowment fund for youth programming. Fr. Raymond Fussner, SJ lived and served at Bellarmine for 23 years. Many retreatants fondly remember Fr. Fussner setting out the prayer books for morning prayer. A fund was established at Bellarmine in Fr. Fussner's name to help those financially unable to afford to come on retreat. From 2006 – 2011, Bellarmine was led by three Jesuits: Fr. Steven Hurd, SJ (2006 – 2008), Fr. Mark Andrews, SJ (2008 – 2011), and Fr. Robert Flack (January – November 2011). Fr. Paul B. Macke, SJ was named the Executive Director of Bellarmine Jesuit Retreat House in December 2010. A native of Cincinnati, Ohio, Fr. Macke was ordained a Jesuit Priest in 1973 by Joseph Cardinal Bernardin. Under Fr. Macke’s leadership, Bellarmine continues to adapt its ministry to the spiritual needs of those seeking a closer relationship with God. O Lord, You blessed St. Robert Bellarmine with great wisdom and learning. May we, like him, use well the double gifts of faith and reason. May we grow in understanding our faith, diligence in living it, compassion in our service toward those in need, and in all things, grow toward ever greater love of You. Through Our Lord Jesus Christ. Amen.